Should the Federal Aviation Administration Enact Medical Standards for Space Tourists? But what about space flight participants who want to travel aboard a Blue Origin, SpaceX, or Virgin Galactic spacecraft? As it turns out, the FAA has not enacted any regulations establishing medical standards for space tourists. In fairness to the FAA, the commercial space industry is largely operating in a regulatory vacuum because Congress mandated a “learning period” until October 1, 2023, which forbids the FAA from regulating large swaths of the commercial space industry to encourage the development of this nascent industry.4 Although the FAA has not adopted regulations, in January 2006 the FAA published “Guidance for Medical Screening of Commercial Aerospace Passengers” (“2006 guidelines”) to assist operators in screening prospective passengers. Broadly speaking, the FAA’s 2006 guidelines separate space flight participants into two categories: suborbital passengers and orbital passengers. The distinction between a suborbital and orbital spaceflight is trajectory. On a suborbital flight, the spacecraft reaches space (an altitude of 62 miles/100 kilometers), but the spacecraft is not moving fast enough to reach orbit and will fall back down to Earth. Passengers on a suborbital spaceflight will reach space and briefly experience weightlessness and see the edge of Earth. On the other hand, on an orbital flight, the spacecraft is placed on a trajectory where it could remain in space for at least one full orbit around a planet (e.g., a full rotation around the Earth), which requires the spacecraft to travel at “0rbital velocity” a much faster speed than is required for a suborbital flight. In 2012, the FAA’s Center of Excellence for Commercial Space Transportation (COE-CST) issued a comprehensive set of guidelines for space flight participants. The COE-CST’s guidelines recommend more rigorous screening of suborbital passengers, including a physical exam and laboratory tests. The COE-CST also recommends a more robust set of screening procedures for orbital passengers than contained in the FAA’s 2006 guidelines, including a more detailed mental health evaluation. Looking ahead, a fundamental question is how space flight participants should be regulated: Should they be treated like commercial airline passengers and allowed to fly so long as they can afford a ticket, or more like astronauts and ISS-bound space flight participants and subjected to a series of medical tests before being hurled into space? 1. Are space flight participants subjected to greater health risks than commercial airline passengers by virtue of traveling to space? 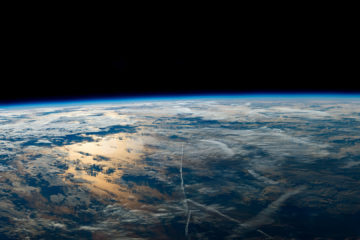 Aerospace experts have suggested that certain space flight participants may be susceptible to an increased risk of harm due to the significant g-forces they are exposed to during space travel, the microgravity environment, and other factors such as radiation exposure. Space flight participants may also be exposed to increased psychological distress due to the isolation, lack of privacy, and cramped quarters of a spacecraft, which may exacerbate claustrophobia and anxiety. Although aerospace physicians do not speak with one voice on these issues, below are some of the potential health risks that experts have identified. The risks vary, of course, depending on the physiology of the individual, the flight profile and g-forces, and the length of time in space. The potential health risks identified above does not mean there is a risk of harm to all space flight participants, but space travel may pose a problem for at-risk members of the population, such as those with coronary artery disease. It also appears from a review of the medical literature that the potential health risks differ greatly between short duration suborbital flights and longer orbital flights because of the length of time in microgravity and the greater g-forces associated with orbital flights. The FAA has created a model “informed consent” form that is designed to satisfy a commercial space operator’s regulatory obligation under 14 C.F.R. § 460.45 to inform space flight participants of the risks of space travel.8 But the FAA’s informed consent form is primarily focused on mission-related risks and the safety history of the space vehicle; it does not require operators to inform space flight participants of any particular health risks or medical conditions that are contraindicated with space travel. Rather, the FAA leaves it to operators themselves to determine the content of health warnings, albeit with reference to non-binding FAA guidelines. From media reports, it appears that operators are informing space flight participants of health risks without FAA mandate and screening passengers for certain medical conditions, but this is an area where there is a need for uniformity and clarity. In other words, this is an area where the FAA’s voice needs to be heard. In our view, when the Congressionally-mandated learning period expires, the FAA should utilize the model consent form to ensure space flight participants are given information on the health risks that are generally agreed upon by the aerospace medical community. Rather than relying on operators to attach a list of known hazards to the FAA’s informed consent form, the FAA should create uniform language on the form itself that informs passengers of the potential health risks they face. This would inure to the benefit of space flight participants by providing them with FAA-approved information regarding the health risks of space travel. It also would benefit operators by making sure that the information they supply to space flight participants in the informed consent form is accurate and reflects the experience of the U.S. government. Given that the U.S. government has historically dominated the human space flight industry and has access to a trove of medical data from NASA’s space program, the FAA should take a leading role in crafting specific health warnings for space flight participants. 2. Would imposing FAA medical standards on space flight participants negatively impact the development of the space tourism industry and limit access to space? If the FAA were to impose medical standards and screening requirements for space flight participants similar to those used by NASA for astronauts, it may significantly restrict the number of people who qualify to fly to space. Given the current price of a ticket to space (prices range from $200,000 for a suborbital flight to millions of dollars for an orbital flight), the available pool of passengers is already quite small. If the FAA were to adopt draconian medical requirements, it would stunt the growth of the space tourism industry. Accordingly, in order to expand access to space travel and foster the development of the space tourism industry, the FAA should proceed carefully. Aside from the impact on the space tourism industry, there are important policy considerations in play. If one of the goals of the commercial space industry is to democratize access to space, then limiting space travel to the fittest among us would run afoul of that aim. Moreover, some healthy space flight participants may decline to participate in medical tests for other reasons, such as privacy concerns or the added inconvenience. On the other hand, there is a reasonable argument to be made for establishing narrowly tailored medical standards for space flight participants in order to protect other occupants from harm — air rage in outer space, anyone? — the integrity of the spacecraft itself, and the public at large. Also, if a passenger were to suffer a fatal in-flight medical incident because they were not adequately screened it would not only be tragic for that passenger and their family, but potentially damaging to the industry. There are presently no FAA regulations establishing medical standards or medical screening requirements for space flight participants. Under the current regulatory framework, space flight participants are treated similar to airline passengers — they are not subjected to any medical or psychological exams — except that they are required to sign a waiver of liability as a condition to flying to space. Although commercial space operators have filled the regulatory void by medically screening prospective passengers and providing warnings during the informed consent process, space flight participants may not be receiving consistent information regarding the potential health risks they face. Because the space tourism industry is still developing and will not be fully mature in 2023, the FAA should narrowly tailor any medical standards it adopts or it could curtail the growth of the commercial space industry. In the case of a short duration suborbital flight, it appears that the health risks to space flight participants are not substantially greater than commercial airline travel. Accordingly, the FAA should not prescribe onerous medical standards for space flight participants who desire to engage in a suborbital flight, such as physical and mental exams. However, the FAA should supplement its model informed consent form and incorporate mandatory language that informs space flight participants of the specific health risks associated with space travel. In particular, the FAA should: (1) identify the groups of individuals who are at an increased risk of experiencing a negative health outcome (e.g., individuals with coronary artery disease) and (2) list the specific health concerns presented by space travel (e.g., increased heart rate, cardiac output, and probability of experiencing an arrhythmia). As between the FAA’s 2006 guidelines and the COE-CST’s 2012 guidelines, we favor the former for suborbital space flight participants because it only requires a space flight participant to complete a medical questionnaire. This seems preferable to the COE-CST’s approach, which would also require a physical exam and laboratory tests. Suborbital space flights do not appear to pose a significant health risk to passengers to justify these burdens. Moreover, requiring space flight participants to undergo medical exams for a suborbital flight may negatively impact the growth of the industry by unnecessarily excluding certain passengers and deterring otherwise healthy passengers from traveling. In contrast, for an orbital flight, space flight participants may be exposed to greater health risks due to the length of time in a microgravity environment, the greater g-forces, as well as the radiation exposure. In addition, there is a greater likelihood that psychological issues will manifest themselves on an orbital flight due to the length of time passengers may spend in a confined environment. Accordingly, upon the expiration of the regulatory learning period, the FAA should enact medical standards and screening requirements for space flight participants who desire to engage in an orbital flight. With respect to orbital space flight participants, the best course of action is for the FAA to formally adopt the COE-EST’s 2012 guidelines as opposed to the FAA’s 2006 guidelines, because the former includes a more robust mental health evaluation in addition to a comprehensive medical questionnaire, physical exam, and lab tests. Commercial spaceflight is the next step in man’s long fascination with what lies beyond the borders of our planet. As demonstrated by the recent launches of Mannequin Skywalker (Blue Origin), Elon Musk’s Tesla Roadster and Starman (SpaceX), and the first rocket-powered test flight of VSS Unity (Virgin Galactic), these companies are poised to begin human space flight operations. Until 2023, it will be up to these companies to formulate medical standards and screening requirements for prospective space flight participants. In the coming years, it will be critically important to balance the competing interests of space exploration and access to space for all with public safety. We believe that balance is best struck by screening passengers differently depending on whether they are seeking to travel on a suborbital or an orbital spaceflight. 1. A “space flight participant” is defined as an “individual, who is not crew or a government astronaut, carried within a launch vehicle or reentry vehicle.” See 51 U.S.C. § 50902(20). 2. NASA, Space Flight Human-System Standard, Volume 1, Revision A: Crew Health, NASA-STD-3001-VOL-1A-Chg1, Washington D.C. (February 2015). Government astronauts are also required to complete military water survival training and become SCUBA qualified in addition to other training requirements. 3. See Bogomolov VV, et al., “International Space Station Medical Standards and Certification for Space Flight Participants,” Aviation, Space, and Environmental Medicine, Volume 78, Number 12, (December 2007): pp. 1162-1169. 4. 51 U.S.C. § 50905(c)(9). 5. FAA Office of Aerospace Medicine, Guidance for Medical Screening of Commercial Aerospace Passengers, by Melchor J. Antunano, et al., Washington D.C. (January 2006). 6. FAA Office of Aerospace Medicine, Guidance for Medical Screening of Commercial Aerospace Passengers, by Melchor J. Antunano, et al., Washington D.C. (January 2006), “Introduction,” at 1. 7. See Gerard T. Flaherty, M.D., et al., “The Final Frontier–What Should the Travel Medicine Practitioner Know About Space Flight Participation,” The Oxford Journal of Travel Medicine, Volume 22, Issue 6, November 1, 2015: pp. 425-427; FAA Office of Aerospace Medicine, Guidance for Medical Screening of Commercial Aerospace Passengers, by Melchor J. Antunano, et al., Washington D.C. (January 2006); Center of Excellence for Commercial Space Transportation (COE-CST), Flight Crew Medical Standards and Spaceflight Participant Medical Acceptance Guidelines for Commercial Space Flight, (June 30, 2012); DOT Volpe National Transportation Systems Center, AST Commercial Human Space Flight Participant Biomedical Data Collection, by P. Vernon McDonald, Ph.D., et al., Cambridge, Massachusetts (February 1, 2007); NASA, Reference Guide to the International Space Station (Utilization Edition), Washington D.C. (September 2015): p. 18. 8. FAA, Guidance on Informing Crew and Space Flight Participants of Risk, Version 1.1, Washington D.C. (April 4, 2017) and Appendix C thereto (model informed consent form). 9. The COE-CST is a center created by the FAA consisting of a partnership of academia, industry, and government, developed for the purpose of addressing challenges for commercial space transportation. 10. See FAA Office of Aerospace Medicine, Guidance for Medical Screening of Commercial Aerospace Passengers, by Melchor J. Antunano, et al., Washington D.C. (January 2006): p. 1; Center of Excellence for Commercial Space Transportation (COE-CST), Flight Crew Medical Standards and Spaceflight Participant Medical Acceptance Guidelines for Commercial Space Flight, (June 30, 2012): pp. 7-9, 12-15. Although the FAA sponsored the COE-CST’s research project relating to space flight participants, the FAA did not endorse or reject the COE-CST’s 2012 guidelines.